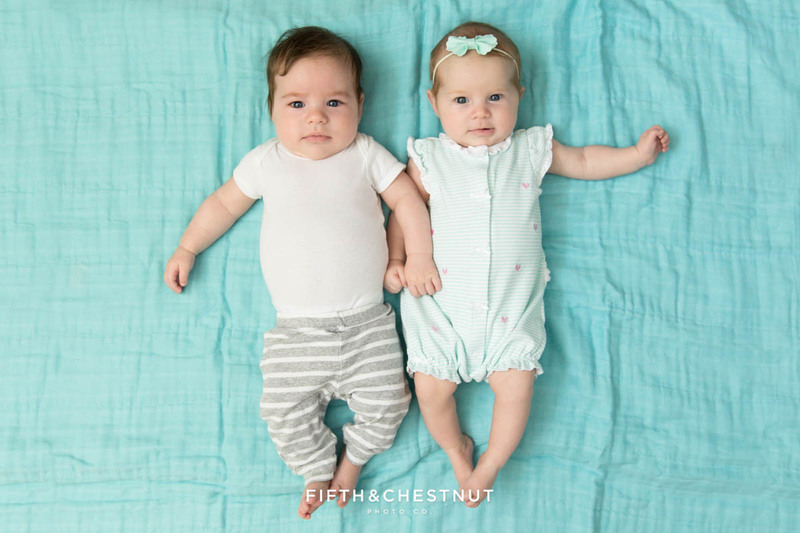 As 2018 approached, I wanted to do a “Fifth and Chestnut Year in Review,” but I was way too busy preparing for my twin babies to arrive in January. Since I spent the majority of the year pregnant, I feel like my pregnancy journey was a huge part of my year as a photographer, too. As some of you may know, in June, I found out I was pregnant…not just pregnant, but pregnant with TWINS. This news flipped our world upside down with equal amounts of joy and panic. It was surreal to find out that we made TWO babies at once…and to realize that I would be carrying these precious miracles around in my ONE body. In July, three days after shooting a 12-hour wedding (not including prep and drive time to Tahoe and back), I suddenly started bleeding. We rushed to the ER as I assumed I was miscarrying my babies at 11 weeks. It was one of the scariest moments of my entire life. When we finally got an ultrasound after being in the ER for HOURS, I saw my babies moving around on the screen and found out that everything was okay. However, the doctors weren’t 100% sure what caused the bleeding and put me on complete bed rest for two weeks…which meant missing a welcome reception and wedding for one couple, and a reunion portrait for a family visiting Truckee from all over the world. It was truly heartbreaking for me to miss these events, but luckily I have plans in place for times just like that, and other trusted photographers were able to cover for me (and they did an excellent job in doing so). One extremely unfortunate side effect of this bleeding incident was that even after being cleared from bed rest, I was paranoid through most of the pregnancy. I carried on through the many weddings and portraits (and created some of my best work, yet), but was terrified at all times that something could go wrong. Even when we found out we were having a boy and a girl (so exciting), the happy news was muffled by the noise and anxiety inside my head. It wasn’t until the babies reached 24 weeks in my belly (the viability milestone) that I felt more comfortable finally. As we approached my scheduled c-section date, my pregnancy anxiety started to be replaced with general anxiety about how life was going to be when the babies arrived…and the newborn phase while recovering from major abdominal surgery. Luckily the babies and I made it to 37 weeks plus 6 days…and I met them in the OR during my surgery – which went SO great due to my fantastic doctors, nurses and amazing anesthesiologist. 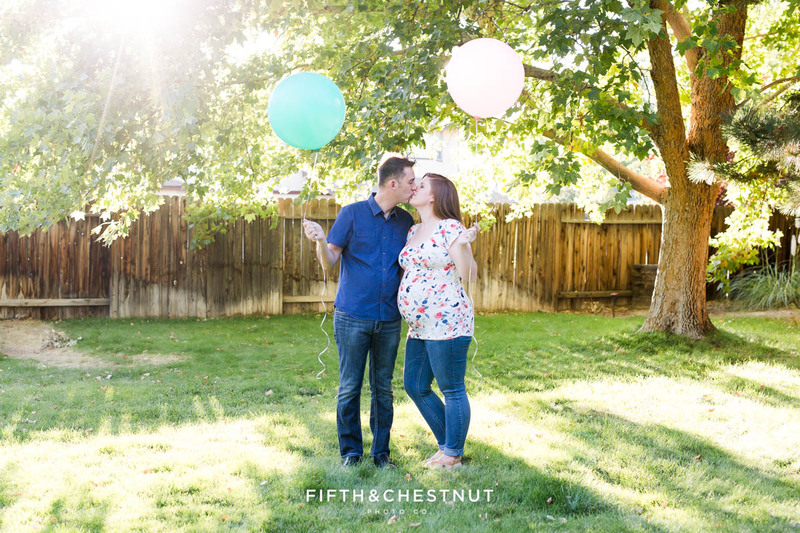 I could go on and on about our birth story, but I have a LOT to get to in this post…so maybe I will revisit that in a later post (if any of ya’ll are interested). Now that the babies are here, it’s still incredibly surreal that I have TWO BABIES! Sometimes I gaze down at them while I’m nursing them both simultaneously, and I think “WOW.” Two more wonderful and amazing additions to our family. Welcoming the twins has brought many mixed emotions. It is now May, and I’m finally getting to this “year in review” post, so I think you can guess how time consuming and exhausting it is to have two babies. But yet, I find myself feeling lucky every day to be their mommy. They have completed us and we are so grateful. Our sweet babies at 3 months old. It wasn’t until after they were born that I realized just how much they would change my life in many ways. I was planning on re-signing my studio lease and having another successful year for Fifth and Chestnut. But going through the ins and outs of raising twins every day in the first few months showed me that I won’t be able to sustain the workload I took on in 2017 just yet. And because having twins + a toddler + a teen is harder than I could have ever anticipated (although in retrospect, I should have know, right!? ), I have to make some serious changes to my business. Changes that hurt…but ones that will allow me to live the best version of my life that I can right now. Two years ago, today, I got the keys to my beautiful downtown Reno studio. It was amazing for my business. Like, AMAZING. I had the BEST time working with my friends/studio mates, clients and vendors. Having my own studio space really took my business to new heights – and it’s one of the reasons my business had it’s best 2 years in a row. I saw my studio space as a badge of honor…real evidence of my success. I placed a lot of my self worth into that place. But today, I announce that my business has moved back to being run from my home. It’s a step I had to take because the majority of my time right now needs to be spent being a Mommy. A milk-producing, twin-baby-snuggling, toddler-teaching, teen-guiding mommy. The fact is – I simply can’t afford to put one toddler and two infants into daycare without majorly overwhelming myself and my family with an unforgiving workload (I’m talking to you, 2017) just to have a studio. I just can’t do it. I can’t work myself to exhaustion while sacrificing moments I wont get back. As much as I love the work that I do, and as much as I adored my studio space, I have to let go of my professional dreams a bit for the sanity of my whole family. It’s a huge bummer for me, as I feel like my business is taking giant leaps backwards after taking giant leaps ahead. But I know this is what’s right for me, my babies, my older boys and my very hardworking husband who sacrificed his personal hobbies to be with the kids while I was at the studio in the evenings and on weekends. 1. I will only be taking on a LIMITED number of shoots and weddings in order to pace myself and spread out events and appointments on my calendar. This unfortunately means that I will have to turn clients away at times or ask them to choose a later time range on my calendar. 2. Until I have a studio space again, I won’t be shooting indoor boudoir, indoor “studio” newborn, indoor head shots or elaborate studio-style shoots (think cake smashes with streamers, props and painted backdrops). However, outdoor shoots are a perfect alternative for some shoots that are typically done indoors! Nothing wrong with a cake smash at the park! Or outdoor head shots! 3. I will be available for lifestyle newborn shoots – in the comfort of your own home, but without the use of backdrops and props (laid back and natural look). 4. All portrait consults (pre-shoot meetings) will be held via email and/or phone conversations. 5. 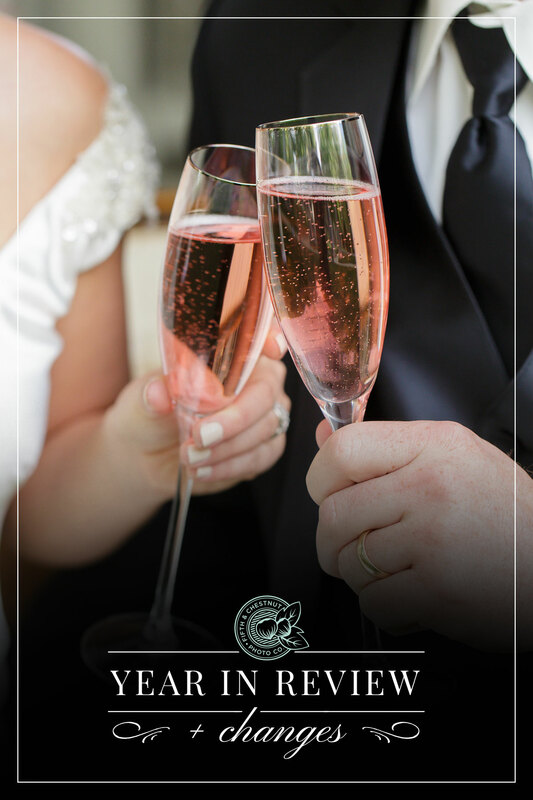 All wedding consults will be held at an agreed upon quiet public meeting place, or via phone/Skype conversations. 6. Unless otherwise noted, I will continue to hold ordering appointments for portrait sessions (for local clients), but they will now be held in your home, or at an agreed upon quiet meeting place. The clients who have been with me for a while will remember that this is going back to how I did business the year before the studio! Long-distance clients will still be ordering online via email & client galleries as always. Luckily I have this beautiful business of mine and have the opportunity to be home with my babies as much as possible while also pursuing my professional dreams – even if I have to scale things back a lot. Things may change down the line as we adjust further to a VERY busy life with twins and two other kids, and I’m glad I have some freedom to do that! And to my clients who have been with me from the days when we would meet at Starbucks, or from the days when we would meet in my livingroom (when my dining room only had one bookcase full of booze and that’s IT), to the two wonderful years that I had my beautiful studio space – thank you. Thanks for contributing to my family’s well-being by hiring me to produce photographs and capture memories for you.